Past results, whether represented in these pages or not, afford no guarantee of future results and every case is different and must be judged on its own merits. On October 3, 2009 the Illinois State Historical Society bestowed its coveted Illinois Centennial Award to Feirich/Mager/Green/Ryan, for contributing to the civic and economic heritage of the State of Illinois for one hundred years, since our founding in 1909. In the matter of Armour v. City of Carbondale, the plaintiff brought allegations of police misconduct under federal law against a municipality. The plaintiff alleged that two police officers used excessive force, resulting in brain damage and other injuries. FMGR civil rights litigation counsel successfully defended this case to a jury of 12 in the United States District Court for the Southern District of Illinois. The jury returned a defense verdict for FMGR's municipal client. FMGR civil rights litigation counsel recently prevailed in the case of Campbell v. Johnston City. Allegations involving the use of excessive force by a police officer, following the arrest of the plaintiff, were tried to a jury of 12 in the United States District Court for the Southern District of Illinois. The jury issued a defense verdict following closing argument by FMGR defense counsel. In the matter of DuQuoin Comm. Unit School District #300 v. West Bus Service, Inc., the plaintiff alleged that a transportation company client of FMGR's was responsible to indemnify the plaintiff under theories of tort and contract for the plaintiff's costs, fees, expenses and settlement funds related to an alleged improper touching of a female student by a male student, while both were passengers on a school bus. FMGR litigation counsel was successful in gaining the court's dismissal of the lawsuit, with prejudice, in a pre-answer motion. FMGR litigation counsel fully investigated the claims and briefed its threshold opposition to the court, under several legal doctrines. The Perry County trial court dismissed the lawsuit against FMGR's client, without granting plaintiff leave to refile. In the insurance coverage matter of Illinois Fair Plan Association v. Abell, FMGR insurance litigation counsel was successful in obtaining summary judgment for our insurer client which had denied payment of a fire claim under a homeowner's insurance policy. Following thorough discovery and investigation, the Saline County trial court voided the policy of insurance ab initio for matters of material misrepresentation in the plaintiff's application for coverage. Love v. Sports Blast: Jackson County, Illinois (2008). A minor brought suit alleging bodily injury including a broken clavicle, from an incident on playground equipment while attending a summer camp. Suit was brought alleging negligent supervision. FMGR counsel represented the camp at trial. Judgment was entered for the defense, with no damages awarded. Madison County, Illinois, jury returns a defense verdict for FMGR client, KONE Elevator Co. (Smith v. KONE, et al. Case 2006-L-249 2008). The plaintiff sought a jury verdict for $600,000 against KONE and a local hospital in a matter where she alleged that a hospital's elevator door closed on her hand and fingers. The plaintiff presented $100,000+ in medical treatment expenses (including two surgeries), $16,000+ in lost earnings, and $1,500 in property damage allegedly related to that incident. The jury returned a general defense verdict for FMGR's client, KONE Elevator Company. FMGR trial counsel: Michael F. Dahlen. Plaintiff's statutory claims dismissed with prejudice; later affirmed on appeal. In the matter of Neff v. Continental Tire North America (Jefferson County, Illinois Case 2009-MR-22) an injured worker agreed to a lump sum settlement of his workers' compensation claims. Centers for Medicare and Medicaid Services (CMS) approved the annuitized funding of a Workers Compensation Medicare set-aside account. The worker filed an action claiming that a lump-sum settlement required the employer's lump-sum funding of the set-aside account. The worker claimed sanctions and attorney fees against the employer, alleging failure to abide a workers' compensation settlement order. The trial court dismissed the injured worker's claims, with prejudice, with the court holding that the worker stated no proper claim under contract, the worker lacked standing to challenge a funding scheme where only Medicare's and the employer's rights were affected, the worker failed to name the US Government as a necessary party to any action which challenges a CMS-approved funding scheme, and FMGR's client holds a reversionary interest in the set-aside funds. Plaintiff Neff appealed the dismissal to the Illinois Fifth District Appellate Court, which affirmed the trial court's dismissal, with prejudice, holding that the Plaintiff failed to state a cause of action for which relief could be granted, as the plaintiff suffered no injury as a result of the complained-of conduct. FMGR's appellate practice group recently prevailed in a matter where FMGR was retained to seek Illinois Supreme Court review of an appellate court decision. Bagent v. Blessing Care Corporation (224 Ill.2d 154, 862 N.E.2d 985 (2007)) was a case of first impression where the Illinois appellate court held a hospital liable for the acts of an off duty employee. FMGR appellate practice counsel, Michael Dahlen and Kara Jones, were retained for the purpose of seeking Illinois Supreme Court review of that decision, as well as presenting the hospital's case on review. The Illinois Supreme Court granted our client's petition for leave to appeal, even though only 2-5% of such petitions are typically granted. Following briefing and oral argument by FMGR, the Illinois Supreme Court reversed the appellate decision against our client. The court held that a hospital was not vicariously liable for the unauthorized disclosure of confidential patient medical information by an off-duty healthcare worker to a third party because that disclosure was outside the scope of her employment. Tripp v. Continental Tire North America, 02-WC-049399 (May 20, 2008). Petitioner filed a traumatic injury claim seeking the recovery of workers' compensation benefits for a double level cervical fusion at C5-6 and C6-7. Employer, represented by Feirich/Mager/Green/Ryan, was able to have the claim for benefits denied. Metheney v. Continental Tire North America, 05-WC-049044 and 06-WC-00326 (6-16-08). Petitioner sought workers' compensation benefits for a laminotomy and discectomy at L4-5. Respondent, represented by FMGR, was able to have the first claim for benefits denied due to the expiration of the statue of limitations and the second claim for benefits denied due to a successful defense based on the accident and causation issues. Lynn v. CTNA, 06-IWCC-0050 (Jan. 20, 2006) vacated by 07-IWCC-0067 (Jan. 24, 2007). Employee filed a traumatic injury claim for benefits that was awarded PPD benefits, medical expenses and travel expenses. The employer, represented by FMGR, appealed the decision to the Commission. The Commission majority affirmed the arbitrator's decision. The dissenting Commissioner argued that due to stipulation between the parties, an award of travel expenses was erroneous. FMGR appealed the decision to the Jefferson County circuit court. The circuit court vacated the Commission's award of travel expenses as contrary to law. The Commission vacated its previous award of travel expenses on January 24, 2007. Meyers v. CTNA, 07-IWCC 0784 (July 10, 2007). Employee filed a claim for traumatic injury benefits and was awarded 40% man-as-a-whole for her back injury. Employer, represented by FMGR, appealed the arbitrator's decision to the Commission and successfully reduced the award to 30% man-as-a-whole. Holder v. Consolidation Coal Company, 07-IWCC-1413 (Oct. 31, 2007). Employee, a prior coal miner, was awarded permanent partial disability benefits in the amount of 12% man-as-a-whole, by the arbitrator after finding an occupational disease. Employer, represented by FMGR, appealed the decision to the Commission for review based on argument that employee failed to prove timely disablement as required by Section 1(f) and that he was precluded from receiving benefits for any condition other than pneumoconiosis pursuant to Section 6(c). The Commission agreed that employee failed to meet the statutory requirements of either Section 1(f) or Section 6(c), vacated the arbitrator's findings, and denied benefits. Pyron v. Consolidation Coal Company, 06-IWCC-0020 (Jan. 9, 2006) vacated by 08-IWCC-1276 (Nov. 5, 2008). The employee's claim for hearing loss benefits was dismissed for want of prosecution in June 2002. A petition to reinstate was filed by the employee in June 2002 and set for hearing in July 2002. The employee failed to appear at the hearing. A year and a half later, the employee filed a second Petition to Reinstate that was granted, over Employer's objection by the arbitrator. Employer appealed the reinstatement to the Commission who agreed that it was possible that there was no jurisdiction but remanded the claim back to the arbitrator for a full hearing on the merits. Employer, represented by FMGR, appealed the decision to the Perry County circuit court which found the Commission was without jurisdiction to hear the claim due to the untimely filing of the second Petition to Reinstate. The claim was remanded to the Commission who issued a decision vacating their previous Order, now finding that it did not have jurisdiction and dismissing the claim. Siefert v. Consolidation Coal Company, 08-IWCC-0262 (Mar. 7, 2008) affirmed 08-MR-22 (Mar. 9, 2010). Employee, a former coal miner was awarded 20% MAW by the arbitrator after the arbitrator determined the employee had coal workers' pneumoconiosis. FMGR, on behalf of Employer appealed the decision to the Commission arguing that the employee failed to prove disablement within two years as required by Section 1(f) of the ODA and further failed to provide proper notice to the employer. The Commission agreed, vacated the finding of causation and denied benefits in the claim. Employee appealed the decision to the Franklin County Circuit Court which affirmed the denial of benefits on March 9, 2010. Beckham v. CTNA, 08-IWCC-0982 (Aug. 13, 2008). Employee filed a claim for traumatic injury that was awarded PPD benefits and medical expenses by the arbitrator. Employer, represented by FMGR, appealed the decision to the Commission and successfully reduced the amount of medical expenses awarded. Galle v. Hayes Excavating, 08-IWCC-1079 (Sept. 22, 2008). Petitioner was awarded TTD benefits by the arbitrator during a 19(b) hearing after finding that employee had established causal connection between his claimed back injury and his employment. FMGR represented the employer and on appeal, successfully argued that employee's testimony and medical records precluded a finding of causation. The Commission vacated the arbitrator's finding of causation and award of TTD benefits and medical expenses. Norris v. Consolidation Coal Company, 07-IWCC-1466 (Nov. 9, 2007) vacated by 07-MR-47 (Franklin County circuit court - Oct. 29, 2008). Employee, a former coal miner, filed a claim for benefits under the Occupational Disease Act that was awarded wage differential benefits by the arbitrator. The employer, represented by FMGR, appealed the decision to the Commission. The Commission majority affirmed the wage differential award with the dissenting Commissioner finding that employee failed to prove an occupational disease or that he was entitled to a wage differential since he left the mine because it closed. FMGR appealed the Commission to the circuit court who agreed with the dissent, vacated the Commission majority findings and award of wage differential benefits, and further issued an order denying benefits in their entirety. Jeffrey Skidmore v. CTNA, 08-IWCC-1318 (Nov. 17, 2008). Employee filed a claim for traumatic injury benefits and was awarded 25% man-as-a-whole by the arbitrator. The employer, represented by FMGR appealed the decision to the Commission which found the arbitrator's award was excessive and reduced the permanency award to 20% man-as-a-whole. Meredith v. Consolidation Coal Company, 07-IWCC-0515 (May 1, 2007) vacated by 09-IWCC-0093 (Jan. 29, 2009). In May 2007, the Commission affirmed the arbitrator's finding of causal connection and award of PPD benefits to the employee in his claim for benefits under the Occupational Disease Act. FMGR, who represented the employer, successfully argued on review to the Franklin County circuit court that the Commission decision was against the manifest weight of the evidence as a matter of law based on DOL findings in the employee's prior Federal black lung claim. On remand the Commission issued a decision vacating the previous findings of timely disablement and denied benefits to the employee. Anderson v. Gilster-Mary Lee Corporation, 09-IWCC-297 vacated by 09-MR-46 (Randolph County). The employee alleged a work injury to his left knee that occurred on November 29, 2006. The arbitrator, after finding the employee "credible" awarded benefits during the 19(b) hearing. The Commission affirmed the finding of compensability on March 30, 2009. Employer though FMGR appealed the decision citing to no less than 14 discrepancies between the employee's testimony and the medical records. On February 17, 2010, the Randolph County circuit court determined the employee was not credible, the Commission's decision was against the manifest weight of the evidence and vacated the award of benefits. Bullar v. Consolidation Coal Company, 09-IWCC-1034 (Oct. 14, 2009). Employee filed a claim for benefits alleging hearing loss related to his employment. The arbitrator found no evidence of either compensable hearing loss or tinnitus and denied benefits. Employee appealed to the Commission who affirmed the arbitrator's denial of benefits on October 14, 2009. Dawson v. Consolidation Coal Company, 09-IWCC-1190 (Nov. 10, 2009). Employee filed a claim for benefits alleging hearing loss. At the hearing, Employee amended his claim solely to a claim of tinnitus. The arbitrator awarded 4% MAW to Employee for the tinnitus condition. FMGR appealed the decision for Consol to the Commission arguing there was no evidence to support a finding of causal connection between the tinnitus and the employee's employment. The Commission vacated the award of benefits after finding insufficient evidence to support the tinnitus claim on November 10, 2009. The claim is currently on appeal before the Franklin County Circuit Court. Ellner v. Consolidation Coal Company, 09-IWCC-0475 (May 18, 2009). Employee filed a claim for benefits alleging hearing loss. At the hearing, Employee amended his claim solely to a claim of tinnitus. The arbitrator awarded 4% MAW to Employee for the tinnitus condition. FMGR appealed the decision on behalf of Consol to the Commission arguing there was no evidence to support a finding of causal connection between the tinnitus and the employee's employment. The Commission vacated the award of benefits after finding insufficient evidence to support either a hearing loss or a tinnitus claim on May 18, 2009. Englehardt v. Consolidation Coal Company, 09-IWCC-0885 (Sept. 1, 2009), affirmed 09-MR-12 (July 22, 2010). Employee worked for the mine from 1972 to 1995. After being laid off Employee obtained employment as a welder at a factory. Employee was recalled to the mine for reclamation work for a 2 ½ month period in June 2005 and then returned to his welding job at the factory. The evidence established no pulmonary impairment during the time the employee worked at the mine, but indicated a steady decline during the years Employee worked as a welder at the factory. FMGR argued that Consol was not the last employer. The arbitrator denied benefits pursuant to Section 1(d) after determining Employee's sole condition of ill-being was COPD and he continued to be exposed to a hazard that would aggravate the condition with his current employer at the factory. The Commission affirmed the denial of benefits on September 1, 2009. Employee appealed to the Perry County circuit court which affirmed the denial of benefit on July 22, 2010. Heck v. Consolidation Coal Company, 09-IWCC-0635 (June 25, 2009) affirmed 09-MR-191 (Dec. 15. 2009). Employee filed a claim for benefits alleging hearing loss. At the hearing, Employee amended his claim solely to a claim of tinnitus. The arbitrator awarded 4% MAW to Employee for the tinnitus condition. FMGR appealed the decision to the Commission arguing there was no evidence to support a finding of causal connection between the tinnitus and the employee's employment. The Commission, relying on the decision in Ellner, vacated the award of benefits after finding insufficient evidence to support the tinnitus claim on June 25, 2009. 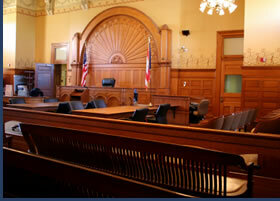 The employee appealed to the St. Clair Circuit Court which affirmed the denial of benefits on December 15, 2009. Jack Carter v. Old Ben Coal Company, 08-WC-38942 (July 13, 2010). Employee filed a claim alleging coal workers' pneumoconiosis on September 3, 2008 claiming a last date of exposure of September 24, 2004. Although, Claimant's expert diagnosed COPD, there was no diagnosis of coal workers' pneumoconiosis. FMGR argued that the claim was barred by the statute of limitations. The arbitrator denied benefits after finding the claim was untimely filed pursuant to 6(c) of the ODA. Joiner v. City of Golconda, (March 2, 2010). Employee alleged a work accident that injured his neck on February 21, 2008. The arbitrator, on a 19(b) hearing, found a compensable accident and awarded TTD benefits for 47 3/7 weeks ending on January 19, 2009, related to treatment on Employee's neck. FMGR appealed the decision for the employer arguing the employee's current condition of ill-being and need for treatment was due to the pre-existing condition. The Commission affirmed the finding of a work accident, but determined the accident only temporarily exacerbated the Employee's underlying condition and therefore, the treatment rendered after July 23, 2008 was not related to the accident, but was due solely to the underlying condition. The Commission reduced the TTD awarded to 22 5/4 and denied all medical expenses incurred after July 23, 2008. Loftis v. Hilltop Auctions, 08-WC-48407 (November 25, 2009) The employee filed a workers' compensation claim alleging an accident causing injury to his lower extremity. The employer, represented by FMGR, successfully defended the claim on the basis that the employee did not suffer an accident that arose out of and in the course of his employment. The arbitrator denied all medical benefits, all claims for temporary total disability benefits, and awarded $0 in permanent disability benefits. Monti v. Consolidation Coal Company, 09-IWCC-1007 (Oct. 7, 2009). Employee filed a claim for hearing loss benefits. The arbitrator found insufficient evidence for a hearing loss claim, but awarded 2% MAW for tinnitus. FMGR appealed the decision on behalf of Consol to the Commission which vacated the award of tinnitus finding insufficient evidence to support either a hearing loss or a tinnitus claim on October 7, 2009. Yanez v. Consolidation Coal Company, 06-WC-45612 (March 10, 2010). Employee worked for a coal mine in Illinois from 1978 to 2002. Pursuant to the union contract between the mine and union, Employee was recalled to a mine in Utah and subsequently laid off. Employee was later recalled to a West Virginia mine where he incurred a traumatic injury to his knee and filed a claim for occupational disease benefits in Illinois. FMGR argued on behalf of the employer that Illinois did not have jurisdiction over the claim. The arbitrator denied benefits finding the last act to form a contract occurred in West Virginia and therefore Illinois jurisdiction was not proper.